Asthma rates climb in U.S.
Nearly one in 12 people is diagnosed with asthma, but no one knows why rates of the lung condition are growing, according to a new U.S. report. The U.S. Centers for Disease Control and Prevention said that in 2009, about 25 million Americans had the lifelong disease that causes wheezing, breathlessness, chest tightness and coughing. Asthma diagnosis rates increased among all ages and ethnic groups between 2001 and 2009, though a higher percentage of children reported having the condition than adults — 9.6 per cent compared to 7.7 per cent in 2009. "Despite the fact that outdoor air quality has improved, we've reduced two common asthma triggers — second-hand smoke and smoking in general — [but] asthma is increasing," Paul Garbe, chief of the CDC's Air Pollution and Respiratory Health Branch, said in a statement. "While we don't know the cause of the increase, our top priority is getting people to manage their symptoms better." 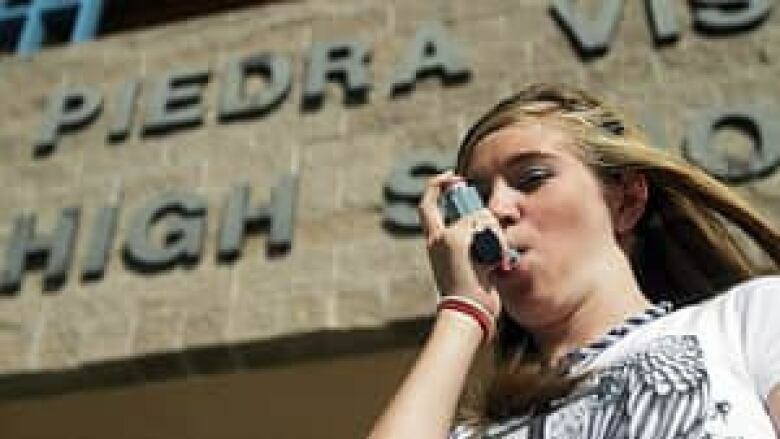 People with asthma can control symptoms and prevent attacks by avoiding triggers such as pollution and using prescribed medicine, like inhaled corticosteroids, as directed, the agency said. CDC experts encouraged doctors to teach people with asthma how to avoid triggers that can cause an attack, such as tobacco smoke, pet dander and mould. The cost of treating asthma also rose about six per cent to $56 billion US in 2007, from $53 billion US in 2002. In 2010, Statistics Canada reported that asthma rates for children between the ages of two and seven had fallen to 10 per cent in 2009, from 13 per cent in 2001, the lowest rate in more than a decade.